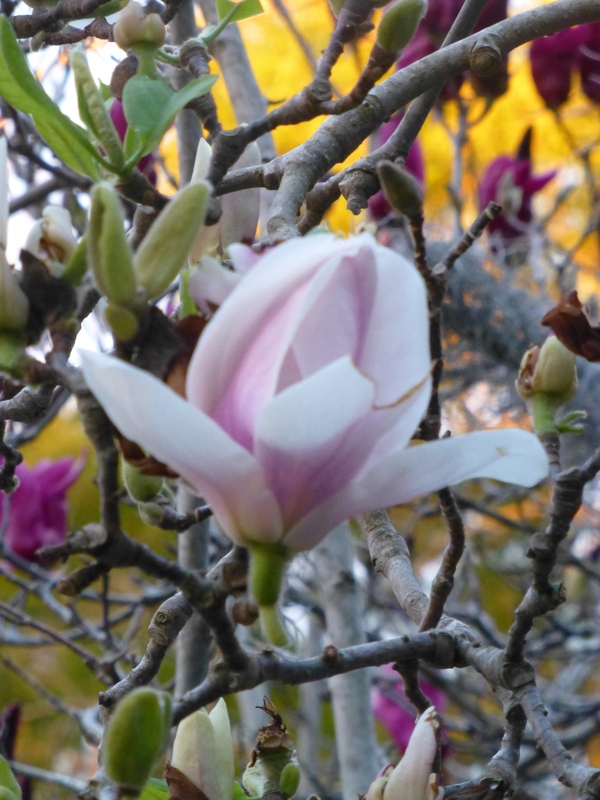 We are blessed in living opposite a yard that boasts a magnificent magnolia. Right now it’s in full bloom. So every time I open our front door I can see these beautiful flowers. I hope that you enjoy this snippet. 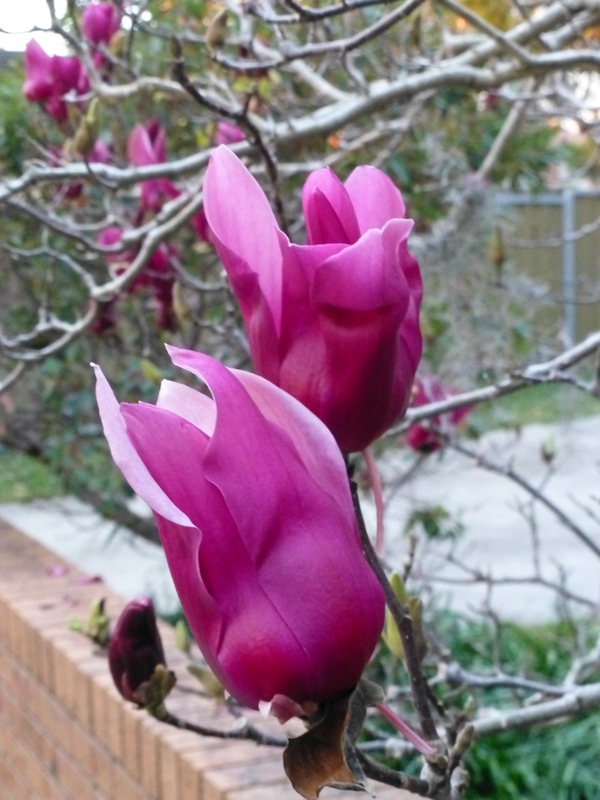 Here in Sydney, Australia, Spring is fast approaching, and with it all the beautiful blooms associated with it. 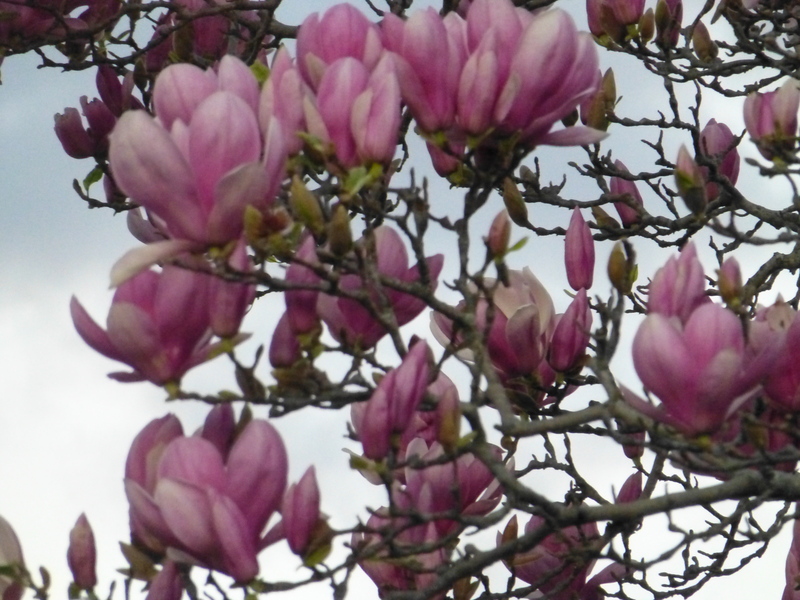 One of my favourites is the magnolia. 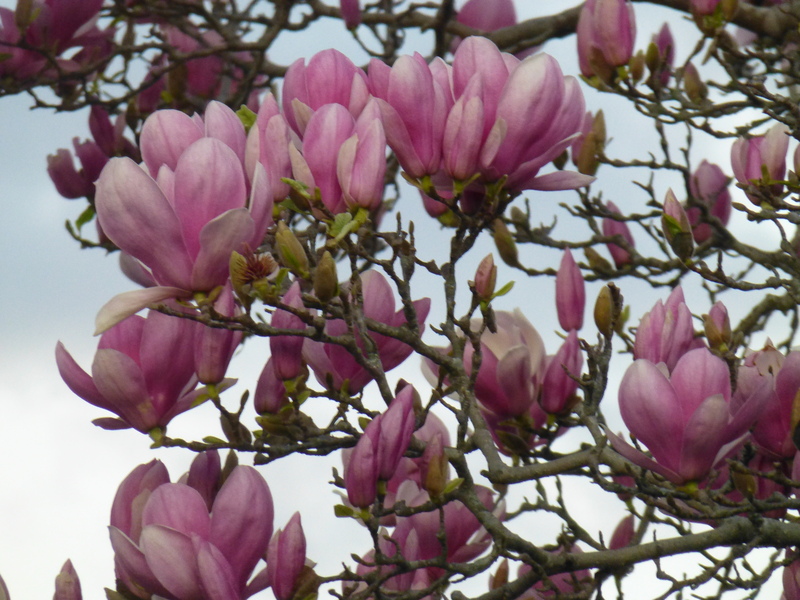 Although sadly we don’t have any in our garden, many of our neighbours’ yards are adorned by these spectacular trees. Superb in colour and form, they must surely rank as one of nature’s triumphs in horticulture. Enjoy these photos I have snapped over the past few days!